Operational Taxonomic Unit (OTU): Bivalvia sp. 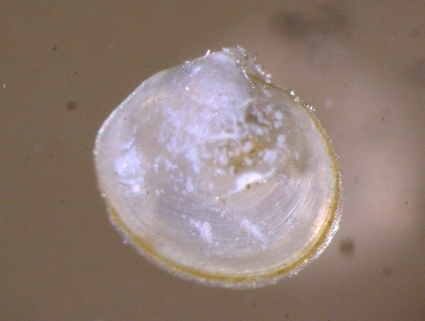 E. Shell more transparent and apex more rounded and solid than in Bivalvia sp. D. Approximately 1.5 mm across.